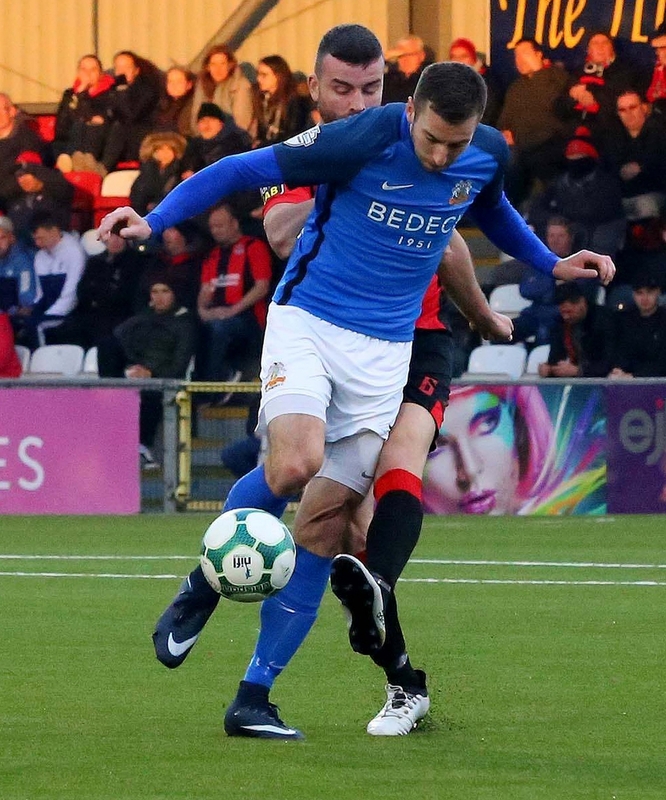 Glenavon slumped to a disappointing 3 – 0 defeat away to Crusaders on Saturday, surrendering top spot in the Danske Premiership table to Linfield. Early goals from Paul Heatley and Jordan Owens gave the Crues a 2 – 0 half-time lead, while Owens added his second 11 minutes from time to wrap up a comfortable win for the champions. 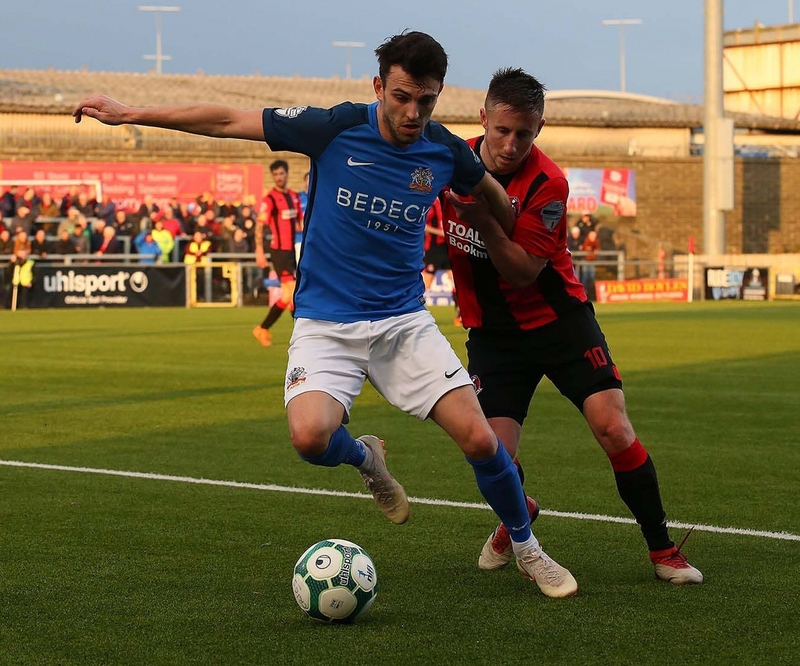 Glenavon’s young defence has been largely excellent this season, but they looked overawed in the early stages at Seaview and the home side nearly went ahead on eight minutes. Sean Ward picked Heatley out with a quick throw-in and he turned and flashed a left-footed strike wide of Jonathan Tuffey’s far post. Just two minutes later Heatley made no mistake when Owens picked him out with a cross from deep on the right flank, the winger striking a superb first-time volley with his left foot which gave Tuffey no chance and put the Crues in front. 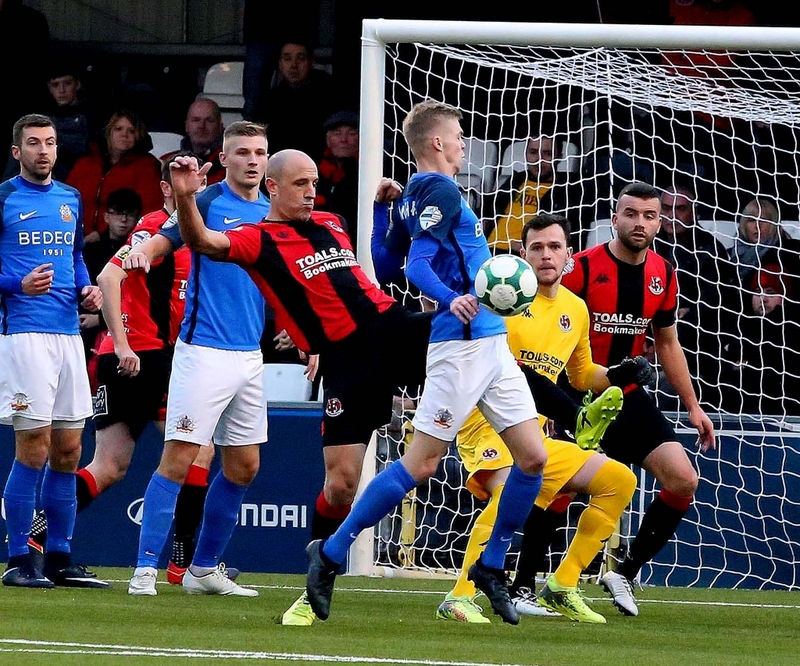 It was nearly 2 – 0 a couple of minutes later when Heatley broke following a Glenavon corner and sent a cross into the box which Josh Daniels turned on to his own crossbar. Heatley was involved again on 18 minutes when Crusaders did double their lead. He played a one-two with Ross Clarke on the edge of the penalty area and the midfielder crossed to the back post to find Owens who dispatched a diving header to make it 2 – 0. Clarke might have grabbed a goal himself three minutes later when Michael Carvill picked him out with a cross but he couldn’t convert. Glenavon’s leading scorer Stephen Murray missed a gilt-edged chance to halve the deficit in the 25th minute when he was sent through on goal by a flicked header from his strike partner Andrew Mitchell. Murray tried to blast the ball into the net with his right foot but only succeeded in sending it sailing over the crossbar. On the half-hour mark Heatley should have had his second when an error from Dylan King led to an opportunity for the Crues’ number 22 but he sent his left-footed effort wide of Tuffey’s right-hand post. 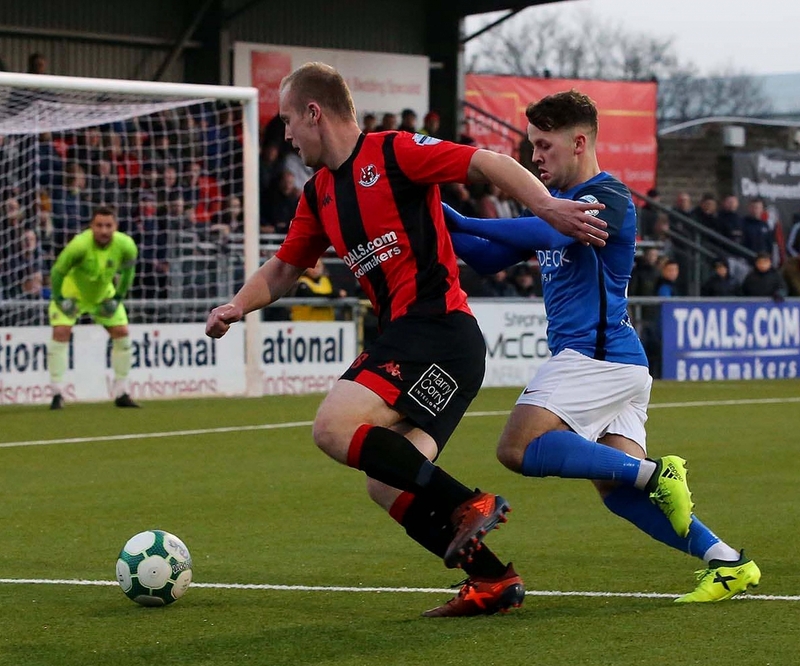 Ten minutes later, Conor McCloskey, who was brought into the starting line-up in place of Andrew Hall, struck a free-kick from 25 yards which narrowly missed the target. 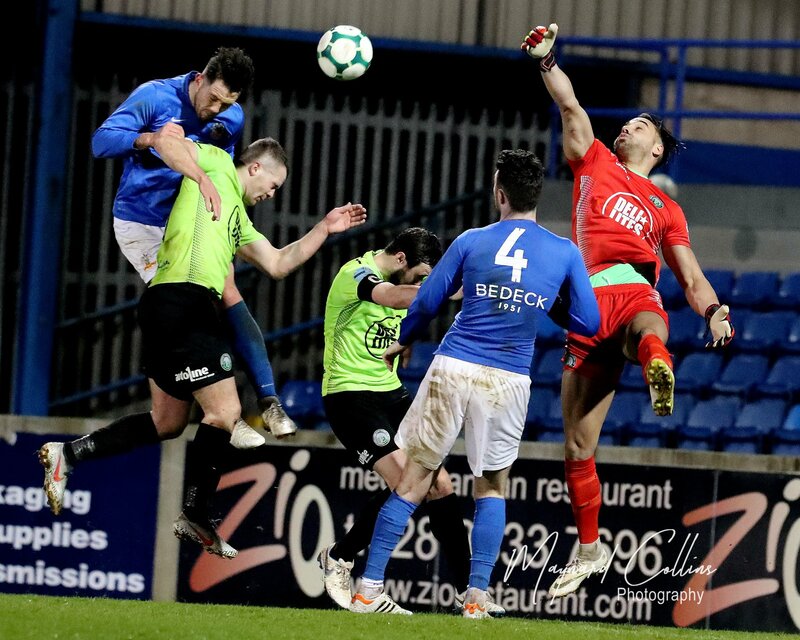 Glenavon had their goalkeeper to thank on two occasions in the opening minutes of the second half as Tuffey brilliantly denied Heatley in successive one-on-ones following errors from Mark Sykes and Caolan Marron. The Lurgan Blues came into the game more as the second period wore on, but they just couldn’t find a goal. McCloskey flashed a shot wide with his left foot in the 50th minute, then the winger went down in the box under a hefty challenge four minutes later but referee Tim Marshall waved away the penalty claims. Murray had another decent opportunity when Singleton found him with a low cross from the left but the striker couldn’t find the target with his left-footed effort. Owens killed the game off 11 minutes from time when he scored his second and Crusaders’ third of the afternoon. Goalkeeper Harry Doherty sent a long free-kick forward and the big striker controlled the ball on his chest before thumping a stunning half-volley past Tuffey from 25 yards. Glenavon might have grabbed a consolation goal in the dying minutes. Doherty did well to dive down to his right and push a Rhys Marshall shot round the post in the 82nd minute, then the goalkeeper saved a Murray header in the 89th minute. However, by this stage the game was long since over as a contest, and it finished 3 – 0. After a poor run of results which has seen them pick up just one point from their last three games, Glenavon will be desperate to get back to winning ways next Saturday (November 24th) when they welcome bottom-placed Ards to Mourneview Park (kick-off 3pm).